sharing my learnings and experiences. JDM or DM is required to configure a Network Core switch, using graphical mode. You may face technical glitches (like no windows open up on clicking the installer or after installation you wont find the programme ) while installing JDM into windows 8 or 10. Here is step by step explanation of JDM installation. 1. Download JDM from Avaya website. 2. Run the jdm_6214.exe or jdm_xxxx.exe. 3. It starts InstallAnywhere window. 4. 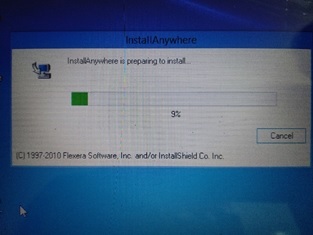 This installer will run till 100%, which says preparing to install. Possibly this is an extractor. 5. Once it is over, no installer window opens. Nothing happens. 6. So, this is the problem. 7. To see the installer go to C:\Users\ \AppData\Local\Temp. 8. 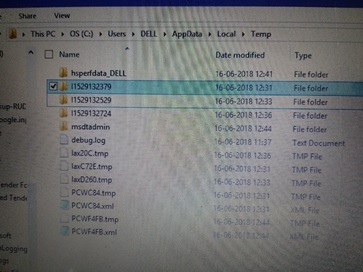 Search the folder of latest date and time. I found it with a series I1529132xxx. 9. Copy this folder to your desktop. 10. Open this folder and again open Windows folder inside it. 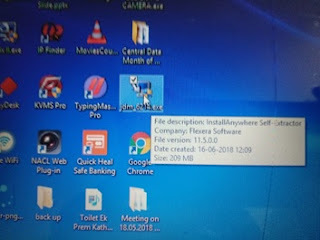 You will see an installer.exe file there. 11. Run the installer asap, as your antivirus might delete some supporting file of it. 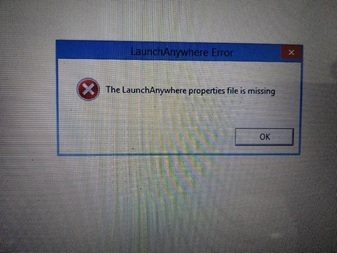 Then it might through an error “LaunchAnywhere Error” which says The LaunchAnywhere properties file is missing. 12. 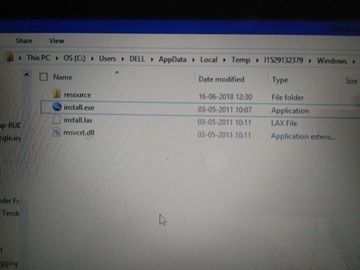 In windows 10 the installer will run smoothly but there is compatibility issue with windows 8. In win8 it will through an error named “Installer UI Mode Error”, which says Installer User Interface Mode Not supported. 13. 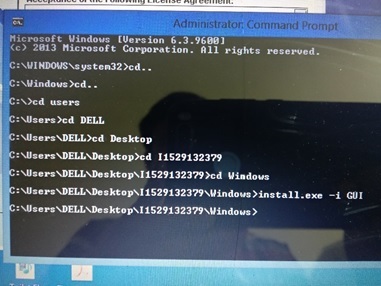 To solve this open command prompt, and run the command install.exe –I GUI. 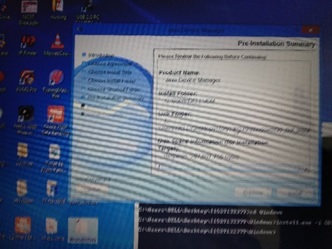 This will open the installer in windows 8. 14. This will run the Java Device Manager Installer. 15. See, the path of installation and you may run the jdm once it is installed. 1. 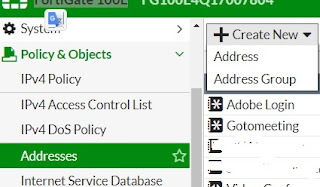 Login to firewall and goto Policy and Objects > Addresses menu. 2. Now Create a new Address. Not Address Group. 3. 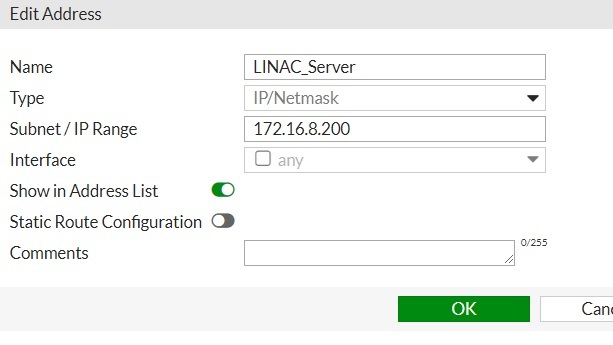 Fill the name Field in my case it is LINAC_Server; a server for linear accelerator. 4. Type is IP/Netmask. In Subnet/ IP Range add your static LAN ip. Then keep the Interface Any. 5. Keep the rest of the options at default level and press OK.
6. 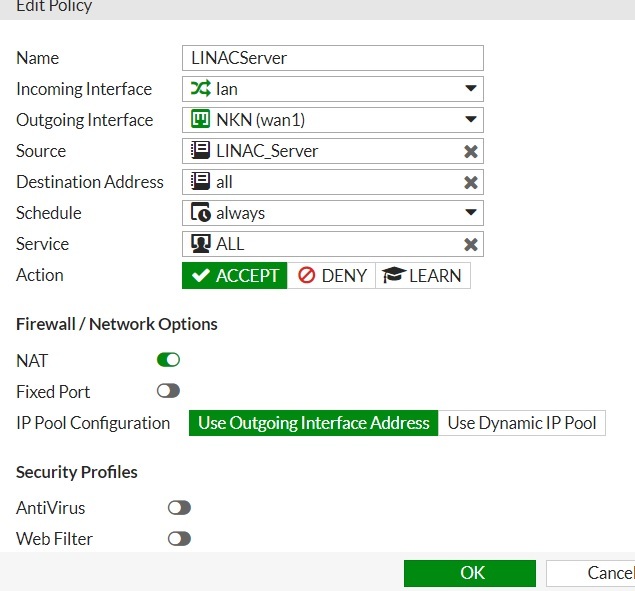 Now create a new IPv4 policy. 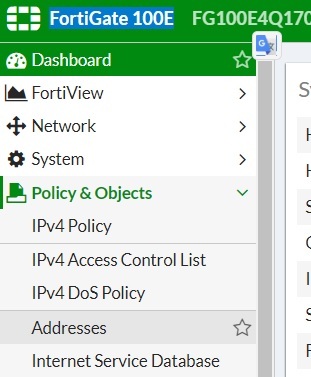 For this goto Policy and Objects > IPv4 Policy. Then press Create New button on the same page. 7. Write any name in name field. In in coming interface field select internal interface (in my case it is lan). 8. In outgoing interface select your WAN connection. Here it is NKN(Wan1). 9. 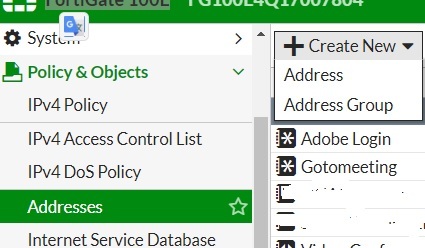 Now in source field, select the newly created Address, in above steps. i.e. LINAC_Server. 10. Now keeping rest of the fields on default mode press ok.
11. Now, you can see your newly created policy. 12. Just drag and drop this policy at the top of others and you are done. You may open all blocked websites in your firewall; using this IP. Recently when I was working with SQL Server 2012, I had created a very simple stored procedure query to INSERT data onto my table. As my target table had the user defined schema so as the Stored Procedure was demanding the same. If you are writing a table name in STP like this: Mixed_Jewellery_Detail , it will be assigned a default schema automatically like dbo.Mixed_Jewellery_Detail. so I changed it to jewellery.Mixed_Jewellery_Detail , .............and hurrey !!!! 1. Enter into set up by pressing F10 key. Now u will see it is set Enable so change it to Disable. 4. Press F10 to Accept change. 5. Save and Exit. Now it should work.